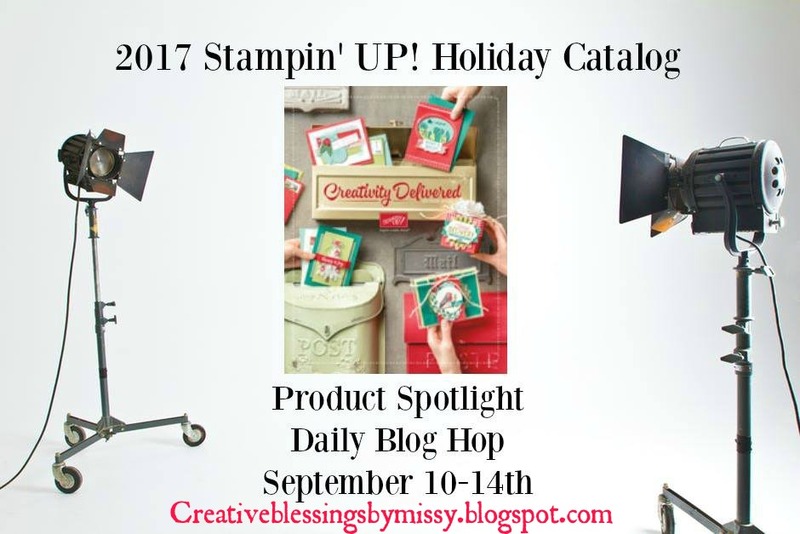 Welcome back to our 2017 SU Holiday Catalog Product Spotlight Blog Tour! We are having a blast creating and today we spotlight the Vintage Crochet Trim. You can find the crochet trim on page 53 of the Holiday Catalog. 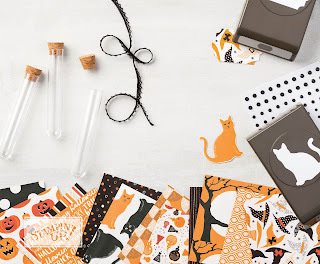 First up is an oh so cute Halloween/ Fall card. 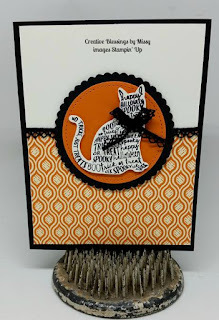 This card features the Spooky Cat Stamp Set and was punched with the Cat Punch (Bundle these 2 and save 10%), Basic Black, Very Vanilla and Pumpkin Pie Cardstock, Basic Black Ink, Spooky Night DSP, Vintage Crochet Trim, Stitched Shaped Framelits and Layering Circle Framelits. 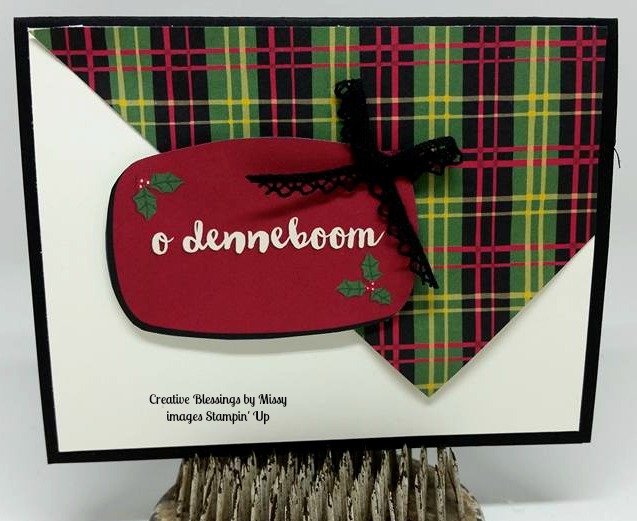 I used the trim for a cute bow on this Christmas Card!. 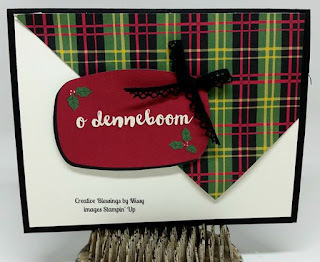 This card features Basic Black and Whisper White Cardstock, Christmas around the World DSP. There is no stamping on this card - the DSP and trim are the stars of this card! Final card is a Get Well/ Feel Better Card. I feel that is can be sent to a man or woman. 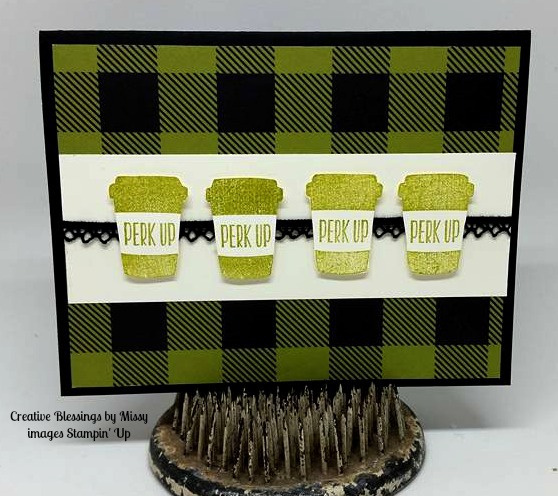 This card features the Merry Cafe Stamp Set. Basic Black and Very Vanilla Cardstock. Old Olive Ink, Vintage Crochet Trim and Merry Little Christmas DSP. I hope you enjoyed my 3 cards featuring the Vintage Crochet Trim. 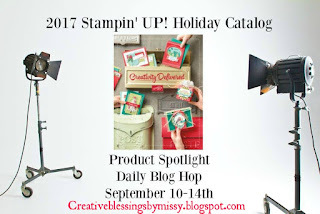 For more inspiration hop over to Terri Wells Blog. Makes a perfect bow for the kitty! Thanks for reminding me that it's great for bows too! Such cute cards, Missy! Great ideas for the crochet trim.